“Eat your breakfast, share your lunch with a friend and give your dinner to your enemy” – says the wisdom. Nutritionists say the opposite. To excess weight can lead not only a dense dinner, but, oddly enough, his absence. Plentiful and late dinner overloads the digestive system and leads to weight gain. However, excluding dinner altogether is also not an option. Such a refusal is fraught with a slowing of metabolism and attacks of night hunger. It is much more effective to build a competent food system, in which an important (but not the main) role will be assigned to dinner. 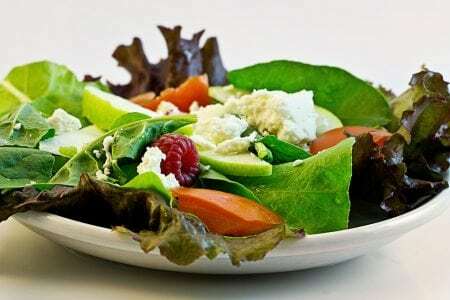 Many believe that not to eat after 18:00 – this is the best way to lose weight. I can not fully agree with this theory. WHO (World Health Organization) gives the most objective recommendation for selecting the optimal time schedule for dinner – the last main meal should be 3-4 hours before bedtime. And since we all have different pace of life – someone works at night, someone in the morning, someone goes to bed earlier, someone later – then the optimal dinner time for everyone is different. To fully maintain health and shape, it is very important to distribute meals equally throughout the day. At the same time, dinner should not exceed 25% of the total energy value of a daily diet. It is necessary to plan each meal correctly and necessarily include protein in it, because it is the protein that provides a feeling of satiety and is a building material for the body. Nevertheless, many people, due to circumstances, do not have time to have breakfast. In the afternoon they just snack, and the main, and sometimes the only, mealtime falls on the evening. But it is important not to overload the body at night and give it a full rest. In general, changing the approaches to nutrition can significantly improve any organism. Allow the body to make a qualitative step forward on the road in the fight against excess weight. It is very important to exclude from the evening diet foods that contribute to sleep disorders, for example, strong sweet tea or coffee. Experts explain that caffeine interferes with a full quiet sleep. But you can afford a cup of fragrant green tea before bedtime. Such a drink will accelerate the process of burning fats in the body and even budt help to cleanse of slags. Green tea is one of the most powerful natural remedies for improving metabolism and burning calories. It prevents the accumulation of fat, removes toxins from the body, gently cleanses the vessels and improves the skin condition. It is advised to drink it only in the evening, but if you wake up at night, then instead of water for better health you can drink pre-cooked green tea. Also, do not eat snacks with foods that cause a new surge of appetite, for example: sweet fruits, juices, etc. Ideally, dinner should consist of useful and easy to assimilate products: protein and food, rich in dietary fiber. For example, you can dine porridge with vegetable salad, low-fat cottage cheese, a piece of boiled fish or other seafood.